The finished image that you see here takes two of my photographs and combines them into one, the difficulty of combining these two images was to get the cars size proportioned correctly with the Light House and to get the lights from the cars- the headlights and marker lights to show up on the ground as if it was really there. 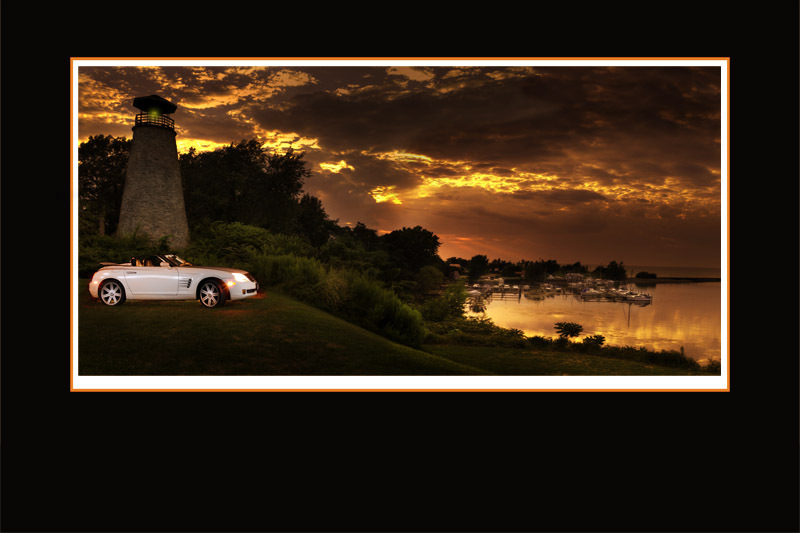 This was accomplished in Photoshop of course by combining two multiple layers one of the lighthouse image one and one of the car image. When combining multiple images it’s important to start with two or more quality photographs if you have bad images going in it’s hard to make a good finished product. I believe that both of these images work well together because of how the images seem to fit together as if it was originally shot that way. Trying to make a believable composite of the last two post. What do you think?